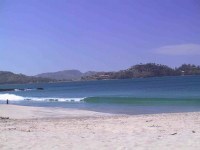 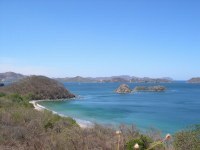 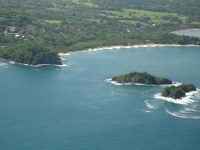 Called Playa la Penca by its citizens, it is a very tranquil and beautiful beach stretching along a small cove. 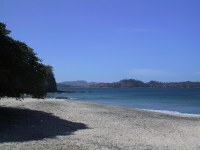 Bordered on either side by rocky points and jungle, this white and coffee sanded beach gets little wave action, making it a peaceful place to swim, picnic, and enjoy all day long. 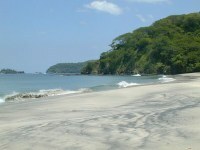 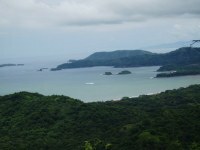 Spanning roughly a kilometer, this sheltered beach remains a well hidden treasure to be enjoyed on your trip to Costa Rica.